Helen Graves serves up a stunning katsu sando recipe, the glorious Japanese invention that sees crumbed and fried pork chops served in soft white bread with a tasty tonkatsu sauce and shredded white cabbage. A must-try for those who are serious about sandwiches. The katsu sando is the good-looking Japanese sandwich that’s been all over your Instagram feed. 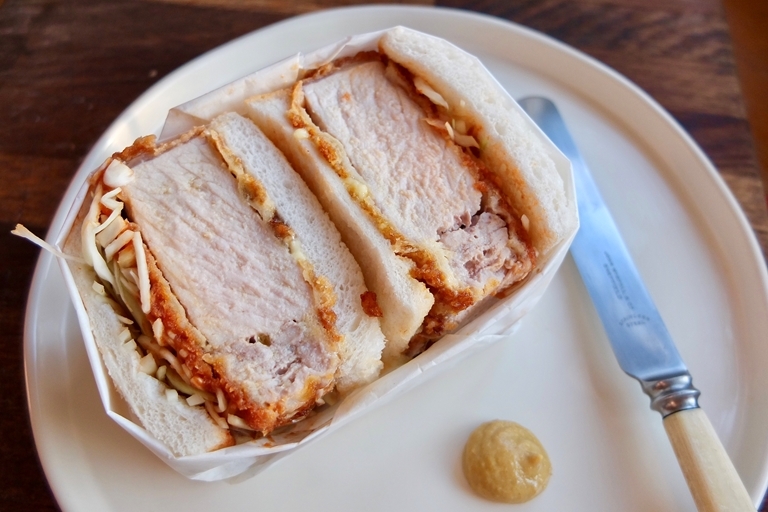 It’s basically a crispy fried pork chop sandwich with some essential condiments including sweet, fruity tonkatsu sauce and kewpie mayonnaise. After experimenting with bread I’ve found that the very soft, processed white kind sold in supermarkets works best.